Click HERE to find out what to do in Melbourne! I managed to get my bags checked through to Auckland (despite have two different PNR numbers) from Singapore and therefore, I only had to connect in Melbourne without having to go through the whole immigration and customs check. That being said, I still had to go through a security screening but that was relatively painless. 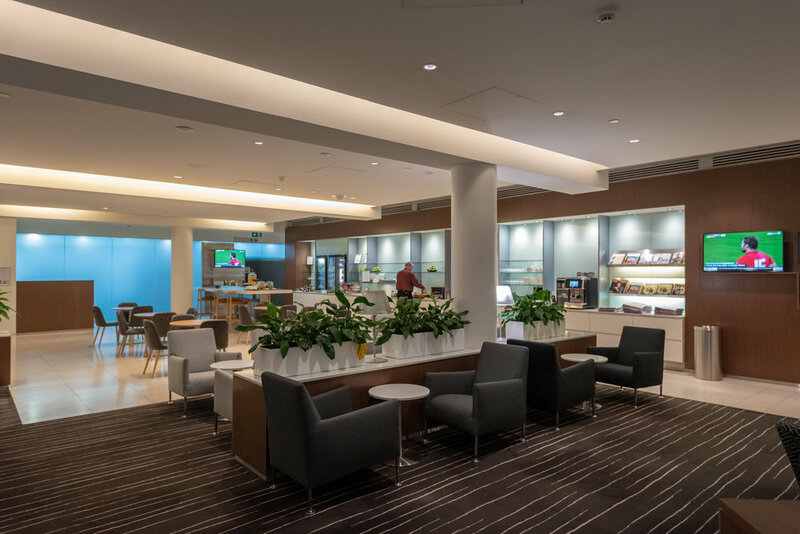 The Qantas International Business Lounge is located airside on Level 1 which is only a short stroll away - if you are traveling on Business, the Emirates Lounge here is a much nicer alternative. If you do have to use the Qantas International Business Lounge, a shower pack can be requested while you are entering the lounge - there are quite a number of showers here so you should not have to wait unless you are visiting it during a peak period where there are a bunch of connecting flights. Each shower cubicle comes with a toilet as well as a shower area so you can freshen up before your next flight. As I visited the lounge at approximately 7:00AM, it was relatively quiet but it does get pretty busy in the afternoon and sometimes looking for a seat can be difficult. The lounge is open from 5:15AM to 11:30PM on Mondays and Wednesdays but on all other days, the lounge is open from 3:45AM to 11:30PM. Breakfast was relatively simple and I did manage to find crisp hash browns on the buffet table so I am all good. Other food on offer during breakfast included things like Greek yoghurt, pastries, fresh fruits, scrambled eggs as well as an automated pancake machine which looked rather dubious so I stayed away from it. The standard of coffee here is surprisingly good so it does not matter whether you are after a simple espresso or a cappuccino - they are both delicious! Just make sure you order it from the actual barista instead of pushing one of the buttons on the machine. Honestly, can you even get bad coffee here in Australia?! The Qantas International Business Lounge is not my favourite lounge in Melbourne - I would very much prefer the Emirates Lounge over this since it pours actual Champagne, have better quality food and the lounge actually enjoys natural daylight. The lounge is definitely due for a refurbishment and it appears that plans have already been made to upgrade this space to make it more current. With all that being said, I did find the service levels here in the lounge to be generally high - special shoutout to the friendly coffee barista!